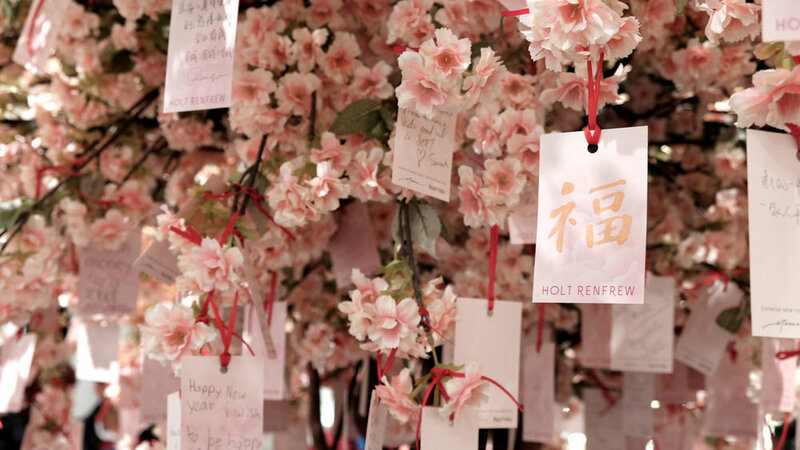 Contemporary Wedding in Ming, first published in Today’s Bride Magazine in 2013. In our first collaboration with the Shangri-La Hotel Toronto, we produced an editorial inspired by Chinese blue and white porcelain from the Ming Dynasty. In capturing the humble spirit and beauty of the Shangri-La, we created stationery and vignettes that are compelling for any bride who values an iconic, timeless style for her wedding. The invitation we created was a hand-illustrated porcelain design which was letterpress printed onto a lush 268lb cotton cardstock, with detailing in gold. 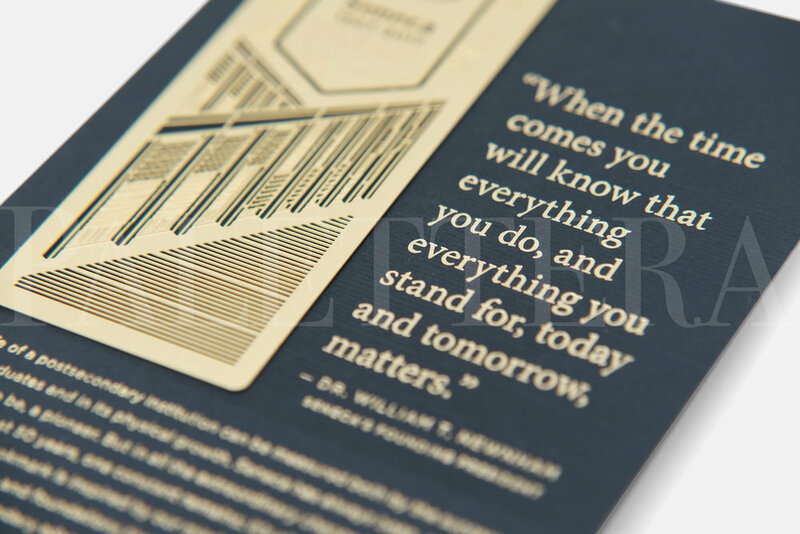 Presented in a hardcover gatefold folio, the piece becomes a keepsake heirloom. A quiet moment shared in the tea library is intimate and sacred. Inspired by Tea & Terracotta. In our second collaboration with the Shangri-La Hotel Toronto, we art-directed an editorial that was centered around the origins of tea culture, and nostalgia of terracotta and stone. We created beautiful watercolour pieces that echoed Asian mountainscapes while resembling the soft billowing of tea stains. Our colleagues at Stemz created a table design that resembled a whimsical fantasy from the far East, which small birdcages, foliage, sprinkles of Jasmine, and terracotta tones. When Winter and Summer Collide. 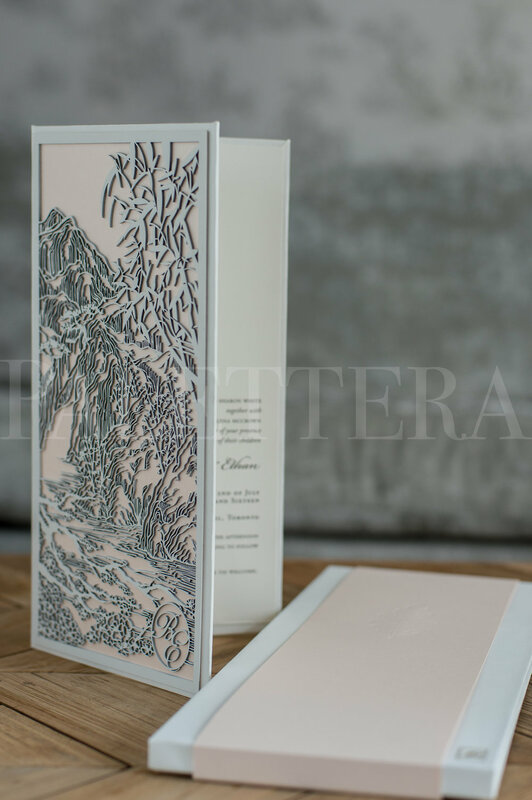 In our third collaboration with the Shangri-La Hotel Toronto, we designed an iconic boxed invitation with a bespoke lasercut design that captures the progression from winter to summer all in one vignette. In immaculate detail, the piece takes texture to a whole new level, while keeping gentle tones of blush, soft white, and pale greys. We also designed menus that featured our hand-illustrated motifs, one from each season. We had the pleasure of working with celebrity artist Veronica Chail, Maison Birks, and Kleinfeld for the fashion component of the shoot, as well as Stemz who arranged a delicate and lovely table for a party of 20 inside Bosk Restaurant.